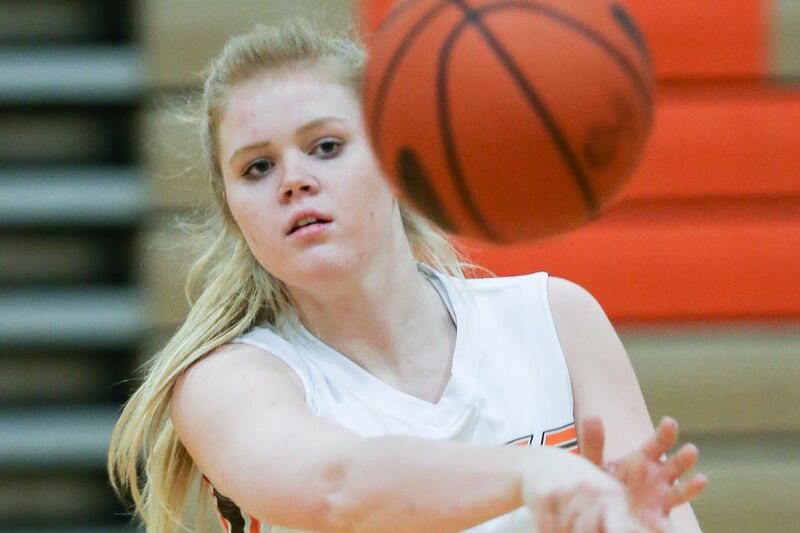 Perkiomen Valley’s Megan Jonassen is averaging 17.2 points per game. Some of the leaders in Southeastern Pa. girls' basketball. Statistics are through Tuesday. Minimum of 10 games. Player School Gms. Pts. Avg. Plymouth Whitemarsh senior guard and Bucknell recruit Taylor O’Brien. Perkiomen Valley’s Megan Jonassen (43) drives to the basket. Cardinal O’Hara’s Mackenzie Gardler (14). Gaermantown Academy’s Rachel Balzer (23). Notre Dame’s Mandy McGurk, right, drives by Abington’s Jordyn Allen. For additions or corrections, contact robrien@phillynews.com.